Writers On The Move: Right-Brain / Left-Brain - Which Controls Your Writing? Right-Brain / Left-Brain - Which Controls Your Writing? In 1981, Roger Wolcott Sperry--a neuropsychologist and neurobiologist, together with two others, was awarded the Nobel Prize in Medicine for his work on the split-brain theory. Extensive research has shown that where we both make use of both right-brain and left-brain ability, we all tend to favour one or the other. This can show up way back in early childhood, where one child may be logical and well-organised, while the other is a disorganised dreamer. In a family of logical people, there can be pressure on the one child who is predominantly right-brain in his approach to life, to conform to his family and society's mainly left-brained approach. Where obviously the dreamer has to be able to fit into the (usually) organised world where he lives, his brain preference should nevertheless be encouraged. One of our three children fits this category exactly. He was the dreamer of the family. While everyone else in the class tackled their maths assignment, he stared out the window. He spent several long stretches in bed, due to a couple of unusual illnesses. During his first attack of Rheumatic Fever, he spent nine months in bed. Yet we never had a problem with boredom. He always found new, creative ways to entertain himself. Without going into complicated explanations, it is sufficient to say that the left-brain is responsible for logic. It is analytical, fact-based, and organised. The right-brain on the other hand is emotional, intuitive and creative. Writers need the left-brain approach, to be able to turn out manuscripts that readers can understand. But without the right-brain, their work is likely to be dry and uninteresting. So when you're looking for a more creative approach to a story or an article, look for ways to switch your brain into "right-brain" mode. The traditional methods of making a list, or writing down ideas one after the other, rely on the left brain, using a linear method. These emphasise logic and order which can prevent the flow of way-out ideas. Put On Your Thinking Cap . . . and other safer ideas. For years, parents and teachers have been urging their young charges to "Put on your thinking cap." It would appear that scientists have actually developed a “thinking cap”. This zaps the brain with electricity, thus suppressing the left side of the brain, and allowing the right brain to develop. (I've searched for an available photograph to share with you, but without success. You'll have to imagine it for yourself.) I admit I don't like this idea one bit, but I've found a few other ways to stimulate the right brain, without having to light up your eyes. Here are six ways to put your right brain to work. 1. Create a mind-map. The old way of coming up with a list of ideas was to do just that: Make a list. A far more creative method is to get your right brain to do the work as you create a mind-map. See here for detailed instructions. 3. Listen to music. Students through the years have tried to convince their parents that listening to music helps them to concentrate. It actually involves their right brain, thus making them more open to new ideas. Experts advocate Mozart for this, but probably any music will work. The trick will be to find something which allows your brain to work, and not shut down because of the sheer volume. 4. Play music. If you play an instrument, think about the issue you want to explore, then sit down at the piano or pick up your guitar, and allow your mind to wander. 5. Draw. Drawing relies completely on the right brain. You might want to draw the problem area, or just doodle on a piece of paper or a chalkboard. As you draw, picture the issue you're wanting to explore, and you may find new ideas filtering into your mind. 6. Write. Without doubt, this is the best way for a writer to increase activity in his/her right brain. Establish a regular routine of writing. This trains your right brain to be in charge and not allow the left brain to take over and produce excuses for not writing. Write through writer's block. Pull out a fresh piece of paper, or open a new document in Word, and write freely without lifting your pen. If you're a reasonably fast typist you can do the same on your computer. Another name for this is stream of consciousness. Write with your non-dominant hand, or even with both hands at once. You probably won't be able to read it back, but it will give your right brain a chance to explore all it likes, as your left brain cannot interfere with this exercise. How about you? What do you do to kick-start that right-brain into coming up with fresh, creative idea? Please share your suggestions in the comment section below. SHIRLEY CORDER lives a short walk from the seaside in Port Elizabeth, South Africa, with her husband Rob. She is author of Strength Renewed: Meditations for your Journey through Breast Cancer, launching on October 1, or available now for pre-order at Amazon.com or at Barnes & Noble.com. 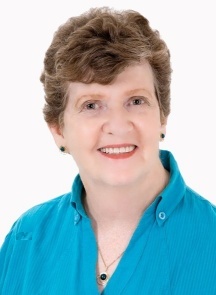 Shirley is also contributing author to ten other books and has published hundreds of devotions internationally. I'm definitely not going to try the thinking cap, that doesn't sound healthy. But I like the idea of writing with my non-dominant hand, and will give it a try for my next article. Thanks for the interesting article and tips for getting my right brain into gear, Shirley. I love mind maps and think they are an amazing tool. I work with mind maps and write-throughs, but I haven't tried the others as right-brain prodders (intentionally, at least)... thanks for adding some new tools to pull out of my bag of writing tricks, Shirley! Thank you for your comments. Tune, I'll be interested to hear how the non-dominant hand works out. Ruth and Judith, enjoy the mind-mapping. It's great fun as well as being productive. Jim, I hope some of these work well for you. Thank you for your input everyone. Have a great day - and be creative! I recently read somewhere else about mind maps, but haven't tried that one yet. I use music all the time when I'm writing. It makes a huge difference for me. I'm going to try the writing with my non-dominant hand to see what that does for the really stubborn issues. Thanks! Informative article. For me, walking can get ideas flowing. I love this! Now I just need tips for activating my gluteus maximus! Yes, good point Cheryl. Walking is often a good idea. Thanks for your visit, Jamie. LOL! Good idea. If you find any tips, let me know on Twitte! I like the idea of playing a musical instrument -- in fact, I took out my piccolo and started to play. Thanks for the interesting post. Anyone have a pointer to right brain/left brain quizzes? I have always been good at mathematics and music -- but I've been told that I conceptualize math very strangely. Wow, this is fascinating. It probably explains why some writers are Plotters and some are "Pantsers." I do like to listen to music while I write and I have heard about that boost to creativity. Cheryl, walking or getting out into nature also helps me unconsciously work through writing problems. Fascinating! I find playing soft inspirational music keeps me focused. Interesting article. I'll have to THINK about it!! Excellent article Shirley. Of course the distinctions between right and left brain activity aren't always that clear. The two sides of the brain interact in most activities and anything creative requires both, but I like your suggestions for stimulating more right brain/creative thinking. Mind mapping is especially good - I use it a lot (freemind is a good one for those wanting to try software rather than pens). 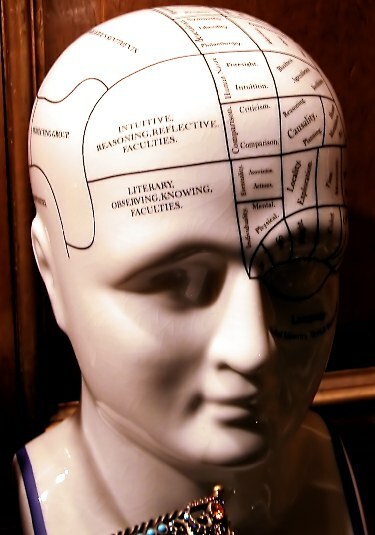 A good article on mind mapping for writers is here: http://www.teachingvillage.org/2011/01/07/mind-mapping-for-writers-part-1-by-hobie-swan/. Writing with the non-dominant hand is an interesting one that I've never tried - but I think I will now! Great Ideas Shirley. I also use mind mapping. I have used freemind but like the program freeplane better. I've tried using my non-dominant hand but I can barely read my regular handwriting let alone, my non-dominant hand. I find music very helpful also. Great ideas. While I am familiar with mind-mapping I don't think to incorporate it into my writing life but I think I will try. It sounds fun. While researching for a book about an artist from about 1900, I read that while giving "chalk talks" she often sketched with both hands - and this with an audience. Amazing to me, especially after reading your article. Thank you. Very thought provoking article with interesting ideas. The picture and list make it eye catching too. Will have to try some of these ideas as I set my goals for fall writing. Great post! I really never thought about how the brain played a part in our writing. Now I know how to break through writer's block! Thanks for this post. Wow! You ladies have been busy. Margaret, good point. I'll have to look for some quizzes. I also have a weird way of approaching Math - but it gets me there. Margaret, Heidi and Donna, I enjoyed your comments about music. I am also a musician, and yet so often go for days without playing. So wrong! Line of Serenity - see that you think creatively! Magdalena and Mary Jo, thank you for your suggestions re mind-mapping. Freemind I know, but I haven't heard of Freeplane. I'll have to look at it. Betsy - fascinating comment. The author you mention may well have been ambidextrous. One of my sons is. As a little boy, he used to colour in with a crayon in each hand. Fun to watch, but it drove his teachers scatty! Thanks Terri and Faye for your comments. Now let's all get creative! I love music, but it's distracting to me when I'm writing. I prefer quiet. I also heard about Mind Mapping, but never tried it. Maggie, thanks for the link. Also, I think I read that using your non-dominant hand to write is also a way to help ward of Alzheimer's. I need to do this. Thanks for the tips! A great article. To stimulate your brain, try brushing your teeth with the 'wrong' hand. Perhaps a bit easier than writing! Thanks for your comments, Karen, Debbie and Judy. Judy, had a good chuckle at the thought of trying to clean my teeth with the 'wrong' hand. I'm going to try that one tomorrow. I just might have to spend the next few minutes cleaning the bathroom though. I use an electric toothbrush. LOL!!! Writing with my non-dominant hand isn't much of a challenge anymore because I can almost write with my left as well as I do with my right hand. Right brain has never been a problem, but I must focus to use my left brain. Making a list for writing, or outlining doesn't work for me, but I am writing a novel that requires organization even though it feels more like work. As far as releasing free thinking: Mindless tasks work wonders. These include brushing teeth, ironing, dishes, etc where autopilot is engaged and the thoughts flow freely. Driving and walking are great, also. Listening to music makes the story feel more dramatic causing me to "see" something that is not getting through to the reader. Therefore, silence is the way I write now. Interesting. I've always struggled to tell right from left and therefore can never remember which half of the brain is which. As a kid I used to deliberately do things with the "wrong" hand just to prove I could. Was I being left-brained or right? And does this bode well for my resistance to Alzheimers (see Karen's comment)? Music doesn't help me write--it's just one more thing I ignore while writing. Sheila, I think they're finding the more you challenge your brain the more it stays healthy. My father had Alzheimers - I have to remember to ask my neurologist about this. No offense intended, "but" how can anyone believe any of this? The whole left brain right brain theory has been debunked several times. The theory is actually absurd, there are countless contradictions. Just think about it for a second. Also, creativity is not isolated within “artistic” endeavors such as writing fiction and painting. Again I do not mean to offend anyone, but this kind of thing is so counter intuitive. Please do some basic research - you will find that neuroscience has debunked the left brain right brain theory several times. There are better and more effective methods to get creative juices flowing then to believe in an untrue concept. Further - a writer clearly uses both sides of his/her brain while constructing a coherent story. Working out a plot is a mathematical process. Even a poet needs to do this - the beats of poem for example. The flip side is that math requires creativity as well. Look at astrophysics, calculus, or basic pen and paper problem solving. There are just so many contradictions within the "theory" It is extremely limiting to suggest that any of this left brain right brain stuff applies to an individual's personality and or strengths and weaknesses. It definitely seems that people who believe in this kind of thing of an agenda or personal bias of some kind, because the concept of left brain right brain is so completely and utterly absurd it is akin to believing the world is flat or that the sky is purple when everyone else knows it is blue. And, no offense taken. We value your input and food for thought! Actually the findings of the scientists referenced in the article have been debunked, several times over the years. If you research Sperry's findings you will find that the studied patients who had their corpus callosum severed. You do not need to be in the neuroscience arena to see that the concept contradicts itself. What side of the brain is dominant for an architect? Or for an animator, computer game designer etc. Or what about an inventor? Surely it requires creativity to design and build any kind of device. These are obvious examples I am using to illustrate my point, but the same is true for writers. A writer needs to creative and detail oriented to construct a story. The general idea I am getting from this blog and others like it is that you are either creative or non-creative and this notion is completely absurd. It is complete and total generalization. Are you saying that a scientist can not be a gifted painter? Or that a lawyer can not be creative writer of fiction? Mathematics is creative. Art is mathematical and so on. Please, these types of ideas (left brain right brain are so counter intuitive and really, do not have any value. Again, no offense but this article/blog presents the notion of a left brain right brain personality as fact, and it is not in actuality a fact at all. Hi, AVR. I do disagree about the intent of this blog. I'm a former accountant, a writer and marketer, and a children's fiction writer. I also dabble in painting and drawing. So, in no way is this blog saying people are limited in any fashion. Thank you for letting us know the information in the post is outdated. Glad you liked it, Keith!